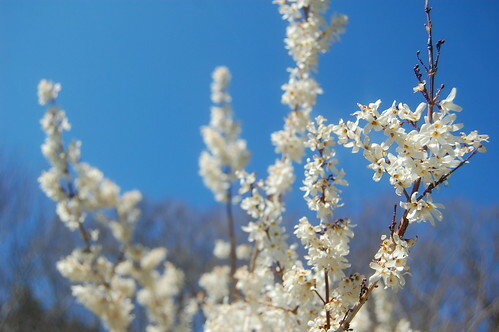 Abeliophyllum distichum also called White Forsythia is more refined than traditional yellow Forsythia to which it is distantly related, both being part of the Olive family. 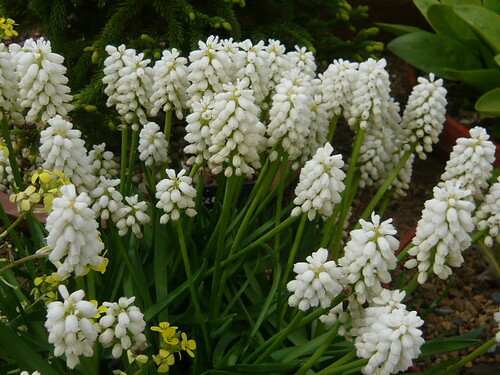 Abeliophyllum distichum AGM is native to Korea and produces clusters of fragrant, creamy white flowers which emerge in late winter or early spring before the leaves. 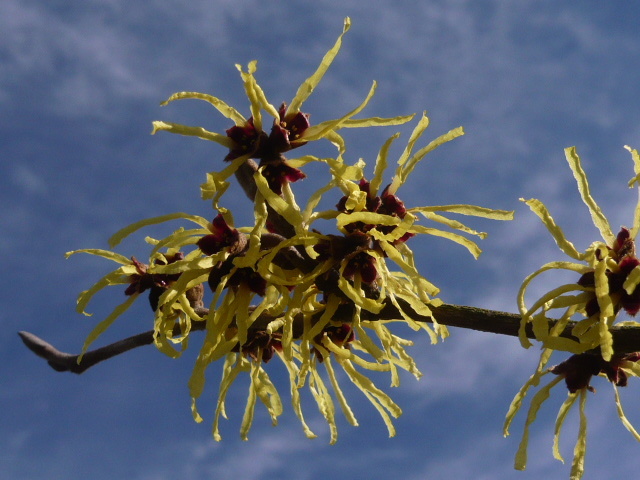 Prune after flowering to within 2-5 buds to make a permanent framework and encourage new wood for flowering next year. 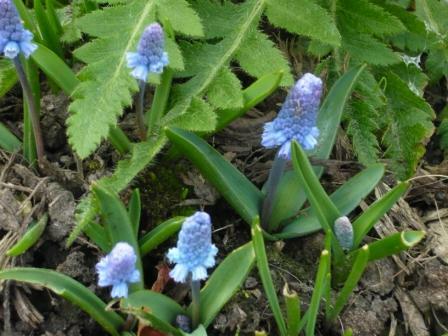 Can be underplanted with Scilla sibirica, Muscari or species Crocus for a lovely early spring display. Abeliophyllum distichum roseum group is the seldom seen pink form. 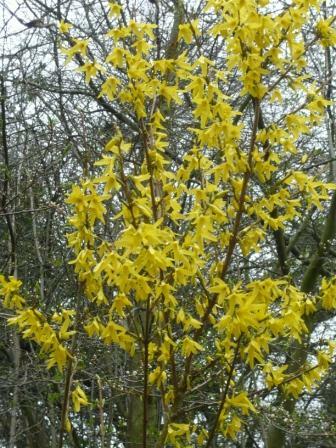 According to Junker’s nursery ‘It is sometimes called “Pink Forsythia” but this reflects more its time of flowering than either its colour or parentage! 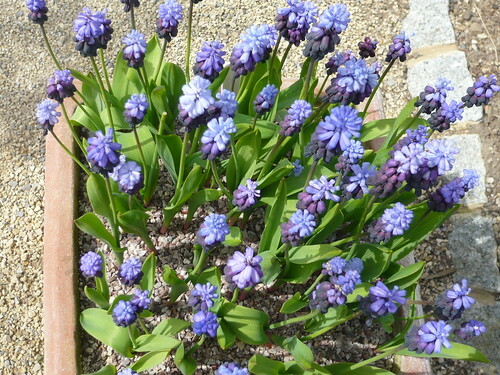 A very pretty plant that stays quite small, rarely more than 3 feet tall’. 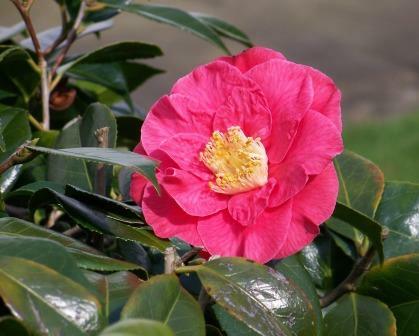 As winter deepens we know that bright colourfull Camellia shrubs and small trees will soon burst forth. Waxy flowers of Camellia ‘Satans Robe’ and the even more waxy leaves of the camellias are one of the early joys in the spring garden. 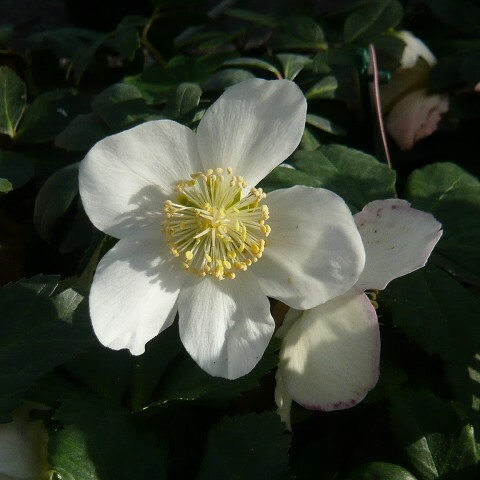 There is a range of camellias to suit most conditions and if you can’t find the lime free soil most varieties need they will grow in a pot of ericaceous compost. Flowers vary in size upto 5 inches across in yellow, red, white and pink.